The nomination process for the 2019 Global Pluralism Award has launched! The Global Pluralism Award recognizes and supports the extraordinary achievements of organizations, individuals and governments who are tackling the challenge of living peacefully and productively with diversity. The Award comes with financial support of $150,000 shared equally among three recipients, as well as global visibility and recognition. The University of Victoria and Global A&#64256;airs Canada joined forces last fall to explore ways to strengthen and advance diversity and inclusion in the 21st century. 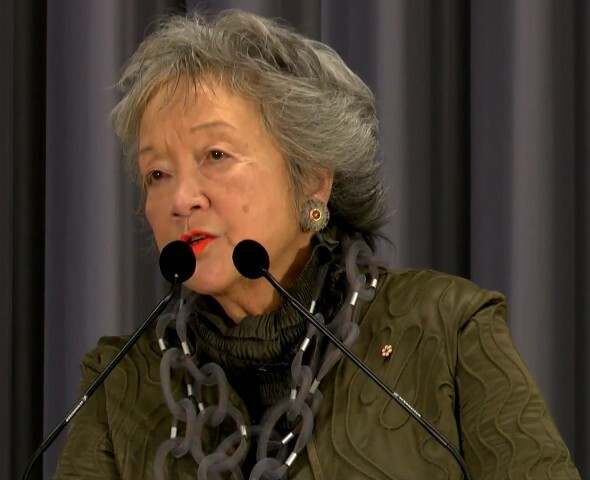 The inaugural Victoria Forum brought together leaders and activists from a range of &#64257;elds to stimulate new thinking and approaches for how Canadians can better promote diversity and inclusion at home and abroad. On March 21st, the Global Centre for Pluralism is pleased to celebrate the release of the Victoria Forum Report, and invites you to attend a presentation and discussion of calls for action by policy makers, academics, business and indigenous leaders, and civil society. The Victoria Forum report will be presented by Dr. Saul Klein, Dean of the UVic Gustavson School of Business and Chair of the Victoria Forum, and Mr. Sébastien Beaulieu, Canada’s Executive Coordinator for Syria - Beirut and Forum Associate Co-chair. that advances respect for diversity and the benefits of inclusion around the world. L'automne dernier, L'Université de Victoria et A&#64256;aires mondiales Canada ont uni leurs e&#64256;orts pour faire progresser la conversation sur la diversité et l'inclusion au 21e siècle. Le Forum inaugural de Victoria a rassemblé des dirigeants des Premières nations, la société civile, du secteur privé et des di&#64256;érents niveaux de gouvernements a&#64257;n de développer de nouvelles idées et solutions pour promouvoir la diversité et l'inclusion au Canada et à travers le monde. Le 21 mars 2018, le Centre mondial du pluralisme est heureux de célébrer la publication du rapport du Forum de Victoria et vous invite à assister à une présentation et une discussion des recommandations du Forum. Le rapport &#64257;nal du Forum de Victoria sera présenté par le Dr Saul Klein, doyen de l'UVic Gustavson School of Business et Président du Forum de Victoria, et M. Sébastien Beaulieu, Coordonnateur exécutif du Canada pour la Syrie - Beyrouth et Coprésident associé du Forum. Far-right nationalism has emerged as a major force to contend with in European politics and debate. Political parties have found success by appealing to entrenched fears over increased migration and religious difference. The result has been a political climate that is being shaped by a suspicion of migrants and refugees, and even xenophobia. Far-right nationalism poses a serious threat to pluralism by denying the myriad benefits of ethnic, cultural and religious diversity and seeking to reshape societies as homogenous and rooted in so-called “traditional” values. By valuing some groups over others, progress and potential are impeded. Join leading member of Germany’s Green Party, federal Member of Parliament Jürgen Trittin in conversation with Heather Scoffield, Ottawa Bureau Chief at the Canadian Press for breakfast at the Global Centre for Pluralism to explore how to address the challenges of rising nationalism and xenophobia across Europe. French Republicanism and Pluralism: Can They Co-Exist? In France, growing diversity has triggered intense debates over national identity. Focused mainly on the integration of Muslim populations, debates abound over secularism and undifferentiated citizenship in relation to historic conceptions of the French state. The French case by John Bowen asks, how flexible is the French republican tradition? Is “pluralist republicanism" possible? In February, the 2017 Global Pluralism Award winner Alice Nderitu launched her latest book at the Centre, Kenya, Bridging Ethnic Divides: A Commissioner’s Experience on Cohesion and Integration, about her efforts to build peace and cohesion between different ethnic and racial communities in Kenya after the violent crisis of 2007-2008. This event was presented in partnership with Simon Fraser University Morris J. Wosk Centre for Dialogue. In March, the Centre hosted the launch of the Canada@150: Promoting Diversity and Inclusion Victoria Forum Report in partnership with the University of Victoria and Global Affairs Canada. The inaugural Victoria Forum in 2017 brought together business leaders, policymakers, academics, civil society and Indigenous communities to discuss diversity, inclusion and sustainable prosperity. The report presents key findings from the Forum and reveals there is a role for everyone — people, government, businesses, philanthropists and Indigenous peoples — in building a more pluralistic society in Canada. Have you seen the Centre’s new look? The Centre has launched a new website. Are you passionate about promoting inclusion? THE 2019 GLOBAL PLURALISM AWARD JURY ANNOUNCED! The independent jury is made up of distinguished experts from the Americas, Europe and the Middle East. Through their work in government, human rights, education, academia and the private sector, jury members have an intimate understanding of the extraordinary effort it takes to build societies where differences are valued and respected. Kofi Annan, former UN secretary general, member Global Centre for Pluralism board, has passed away peacefully in Switzerland. May his soul rest in eternal peace. The former UN secretary general Kofi Annan, has died at the age of 80 after a short illness, his family and foundation announced on Saturday. Joint UN / World Bank report. This launch event in Nairobi brings together lead authors of the report along with experts from a range of fields to offer a Kenyan perspective on the challenges and successes of development, inclusion and conflict prevention. The panel also explores what insights from the report are most relevant for Kenya's future efforts on conflict prevention and inclusion. Accra, Ghana, 13 September 2018 - His Highness the Aga Khan, at the invitation of the President of Ghana, His Excellency Nana Akufo-Addo, today joined world leaders to pay tribute to former Secretary General of the United Nations, Kofi Annan. Mr Annan was laid to rest at a State funeral in Accra, Ghana earlier today. 2018, October 4: H.H. 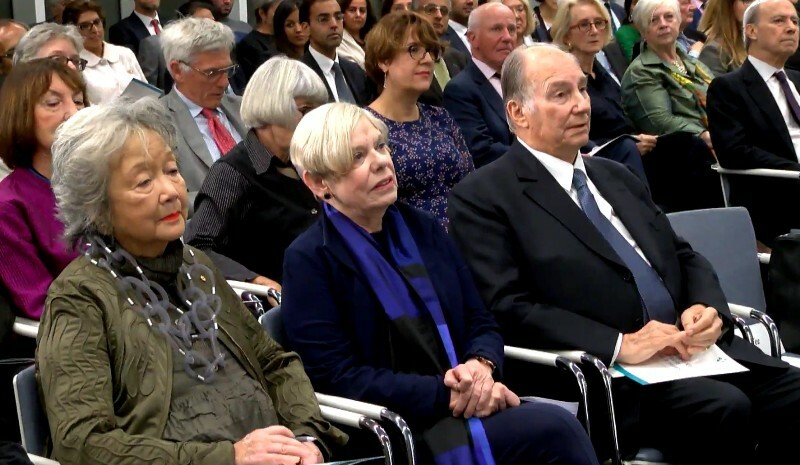 The Aga Khan introduced Karen Armstrong -- author and religious historian -- delivering the Global Centre for Pluralism's 2018 Annual Lecture at the new Aga Khan Centre in London at 7:00 PM London time. The event was live-webcast. Mowlana Hazar Imam was accompanied by Princess Zahra. 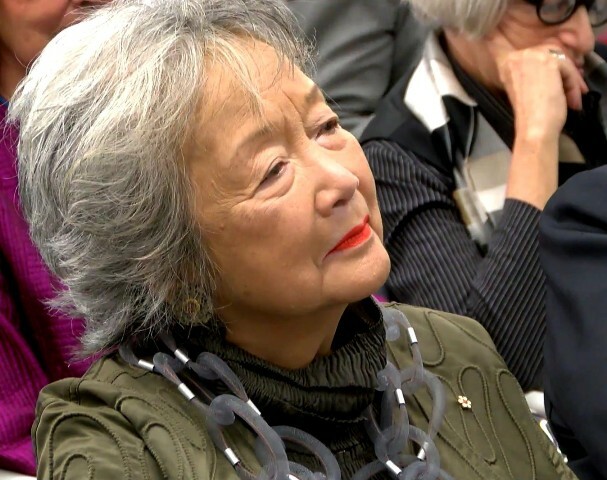 The lecture was attended by many prominent persons such as Adrienne Clarkson ex-Governor General of Canada and member of the Board of the GCP. 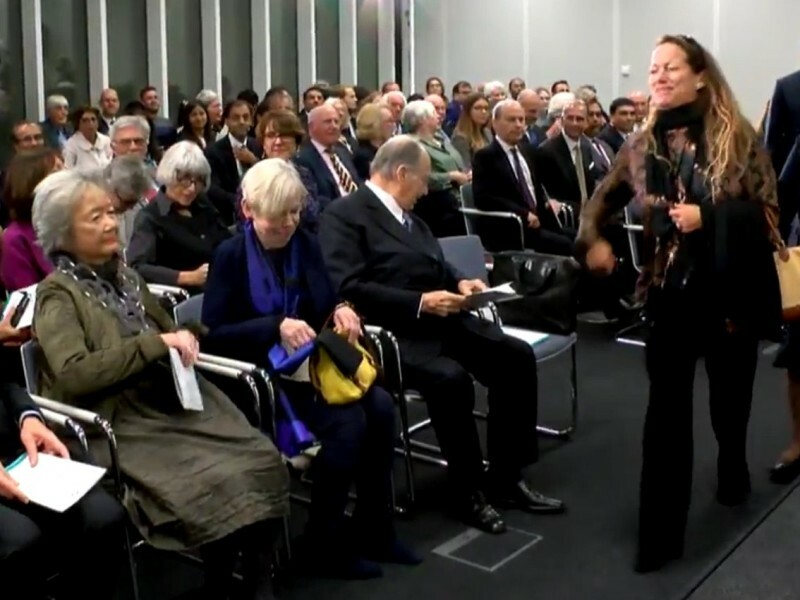 2018, October 4: At the Annual Pluralism Lecture help in London at the Aga Khan Centre, Mowlana Hazar Imam emotionally recognised the contribution of late Kofi Annan before introducing Karen Amstrong, the lecturer of 2018. Mr Kofi Annan was one of the directors of the GCP. Here is the video of the Imam talking of Kofi Annan. 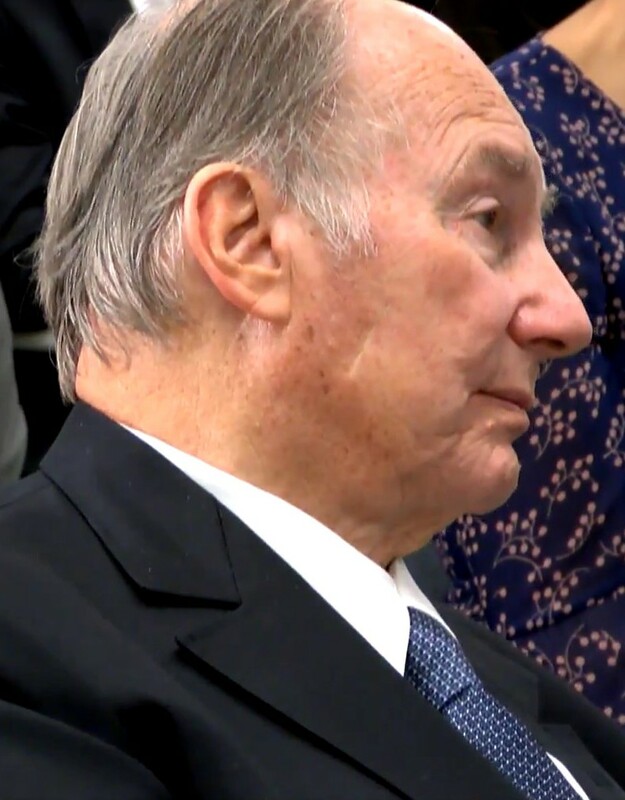 The building also stands as a testament to the value of education: it is the new home for two educational institutions - the Aga Khan University’s Institute for the Study of Muslim Civilisations and the Institute of Ismaili Studies. Through research and learning, they will contribute to increased understanding of the rich history and varied traditions of different Muslim civilisations. In so doing, they should help bridge the gulf of ignorance that has characterized Islamic-Western relations for far too long. This idea of compassion resonates with people. When Amin Hashwani, a business executive and activist in Pakistan, heard Ms. Armstrong’s TED Talk, it affected him deeply. In 2011, Amin Hashwani founded the Compassionate School Network, a programme to train schools and educators to build student skills in compassion, which is still operating with great success. Tonight, we are privileged to hear from one of their most respected voices, Karen Armstrong. 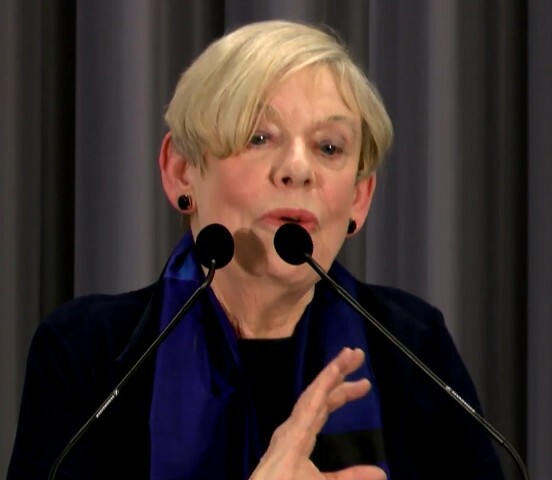 London, United Kingdom, 4 October 2018 – Karen Armstrong, the British author, delivered the annual 2018 Global Centre for Pluralism Lecture today at the new Aga Khan Centre. The title of Ms. Armstrong’s lecture was “Compassion or Toleration? Two Approaches to Pluralism”. Each person invited to give the Annual Pluralism Lecture is asked to reflect on how to build and strengthen pluralist societies. 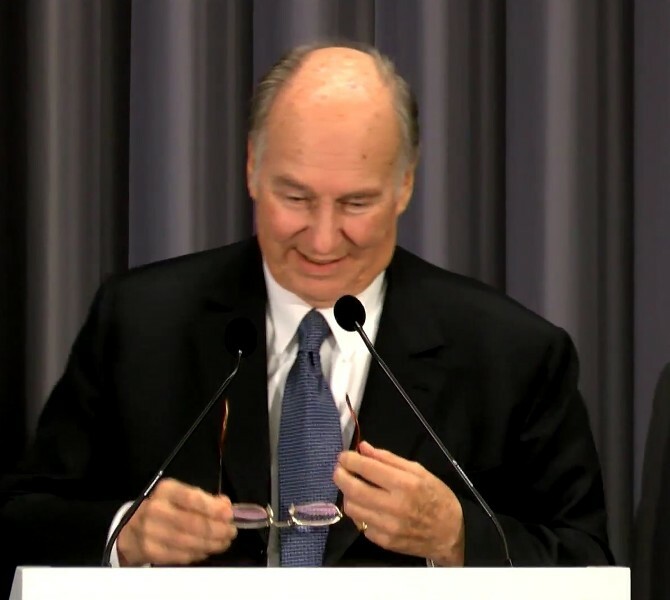 The Lecture is hosted by the Global Centre for Pluralism, an independent, charitable organisation founded by His Highness the Aga Khan in partnership with the Government of Canada. It is based in Ottawa, Canada. The Global Pluralism Award jury is comprised of international experts from various disciplines related to pluralism. Jurors have championed the values upon which the Award is founded: respect for human diversity and promotion of more inclusive societies. Read the press release about the 2019 Global Pluralism Award jury here. What is the difference between Diversity, Tolerance and Pluralism? How can you contribute towards the vision of a more pluralistic society? 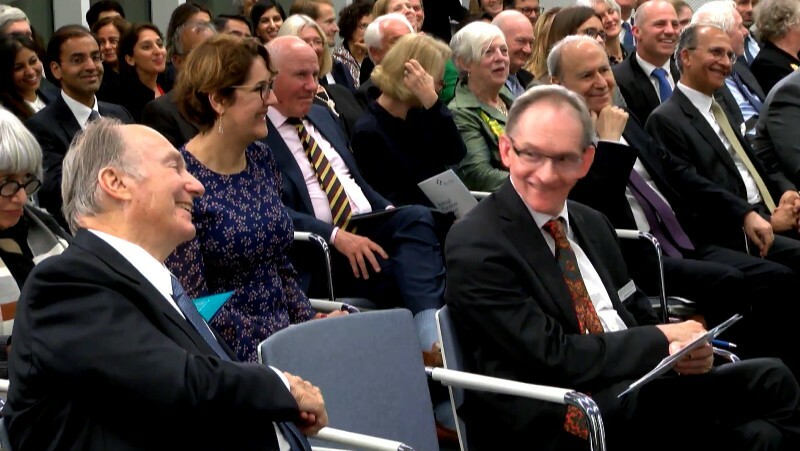 London, United Kingom, 4 October 2018 - If you missed the live webcast, here is the full video of the GCP Annual Pluralism Lecture 2018 delivered by Karen Armstrong including the question and answer session moderated by the BBC’s Lyse Doucet. Aga Khan academies work to create an integrated global community that encompasses economic, ethnic, religious and geographic diversity. Students draw valuable life lessons not only from learning together but also from living together — especially if the mix is diverse. 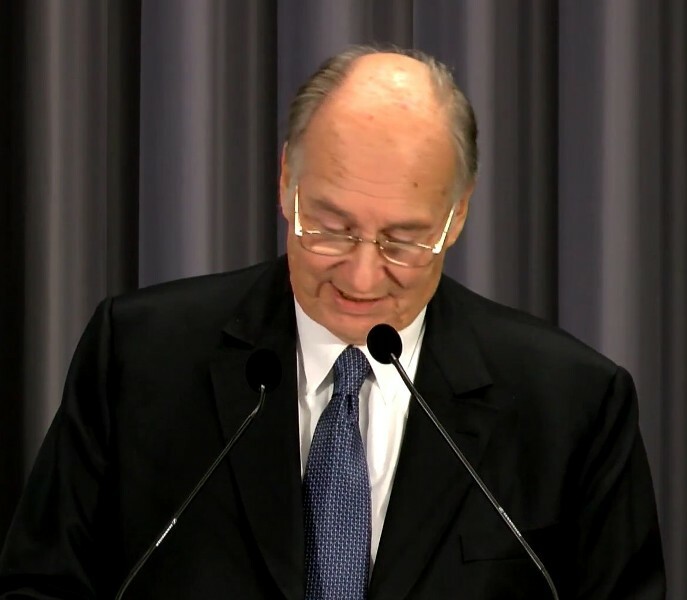 The Aga Khan has noted the importance of pluralism in tackling increasing fragmentation and confrontation in the world. 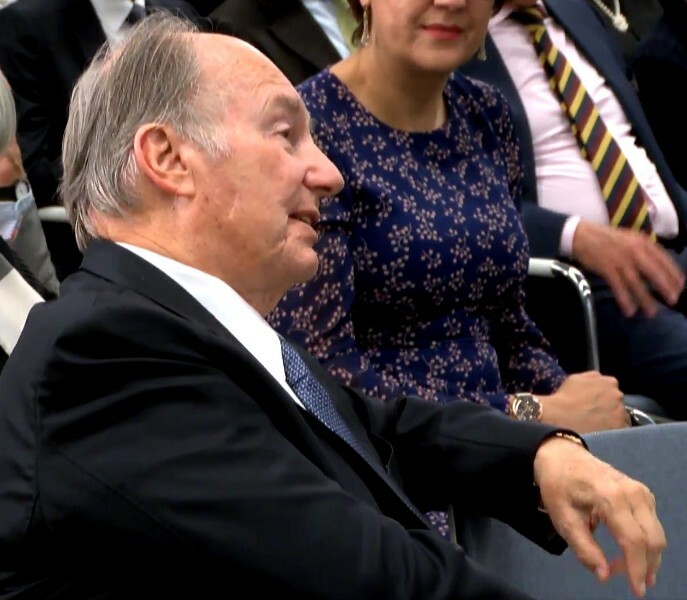 In an interview with IB Magazine, the global leader of the Shia Ismaili Muslims, and respected philanthropist, praised pluralism as the “indispensable foundation for human peace and progress”. 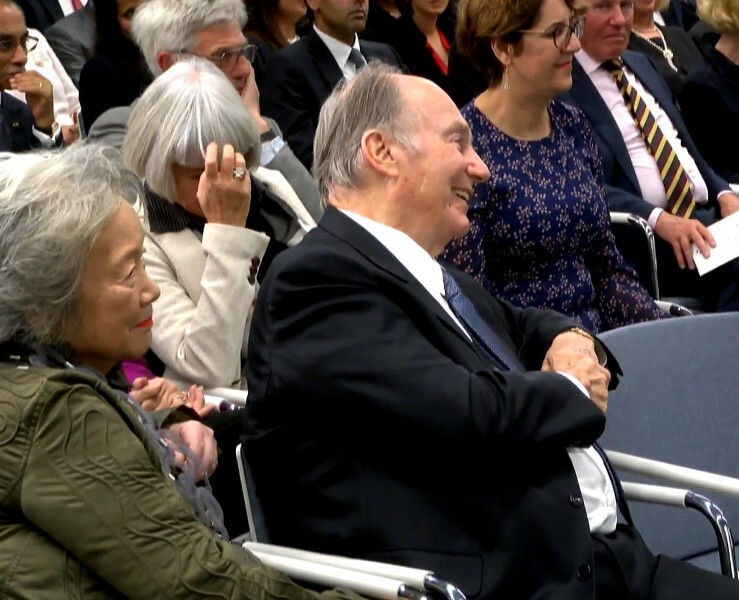 “The human society is essentially pluralist, and awareness of the diverse contributions of people, across times and cultures, to global civilisation is essential in engendering respect and understanding,” he said. 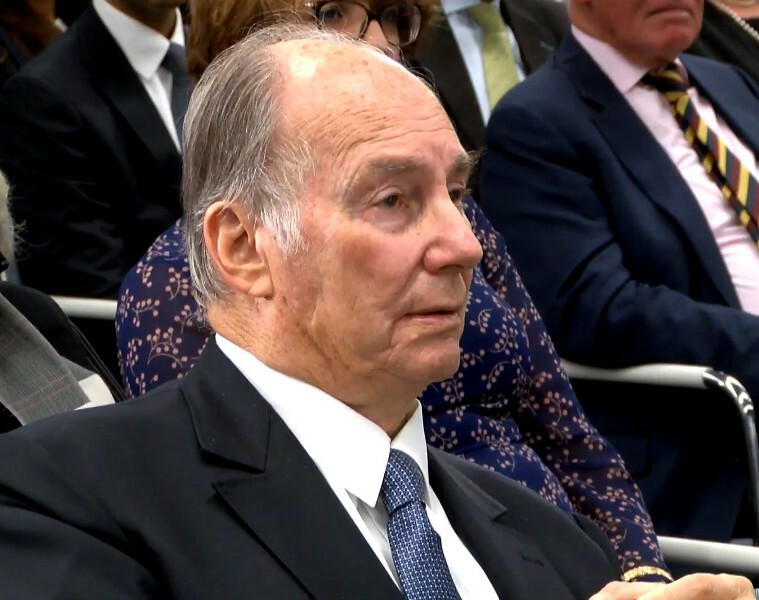 He was speaking about the decision for Aga Khan academies to take the International Baccalaureate (IB) model, which he praised for its innovative approach to learning and promotion of multi-cultural experiences. “Mutual understanding and respect do not come naturally, they must be taught and experienced. The academies work to create an integrated global community that encompasses economic, ethnic, religious and geographic diversity. We believe students draw valuable life lessons not only from learning together but also from living together — especially if the mix is diverse,” he said. He said, however, that it is hard to find teachers trained to embrace the IB model, especially in countries where the form of learning is rote rather than enquiry-based. “We need to reframe the role of the teacher, develop students’ ownership of their learning and support teachers in using multidisciplinary methods," he said. "This requires emphasis of appropriate recruitment and robust professional development. The academies provide education for teachers through professional development centres." 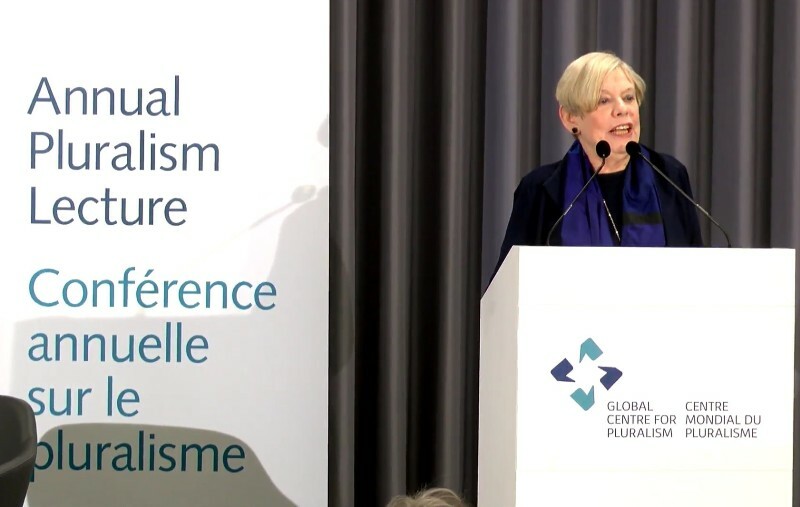 London, United Kingdom, 4 October 2018 - If you missed the live webcast, here is the full video of the GCP Annual Pluralism Lecture 2018 delivered by Karen Armstrong including the question and answer session moderated by the BBC’s Lyse Doucet. Find out more about the Centre’s Board of Directors here. Alice Nderitu, Leyner Palacios Asprilla and Daniel Webb, the three winners of the 2017 Global Pluralism Award, continue to build on the momentum generated by the award to champion pluralism in their communities. Find out what the winners and honourable mentions have achieved this past year with the support of the Centre. This fall the Centre published four new papers in the publications series Intersections: Practicing Pluralism and Accounting for Change in Diverse Societies. These papers contribute to the Centre’s growing body of work on the drivers of pluralism and how a pluralistic view of diversity can contribute to established fields of practice. The full text of Ms. Armstrong’s lecture is now available on our website. The video of her lecture can be seen here. The Centre is hiring a Manager, Partnerships and Development to support the expansion of its global programming and impact. The successful candidate will bring significant resource development experience. They will be entrepreneurial and strategic with demonstrable fundraising success in an international organization or policy research context. Are you passionate about promoting inclusion? Are you a strong communicator? We are looking for public affairs volunteers of all ages to help us share the Centre's history and mission with the public during events and seasonal visiting hours. Prospective volunteers must be based in Ottawa, Canada. While the forces of globalisation may have brought humanity’s inherent differences into sharper focus, the roots of this diversity lie in an ancient and divine imperative. The movement of people across the world occurs at a frequency and volume unmatched in human history. Advancements in transportation, the spread of the global workforce, increasing urbanisation, and the search for economic opportunity are just a few factors that fuel the flow of people across borders. These forces have been compounded by the existence of human conflict, economic and political strife, and climate change, which have also resulted in the frequent and often forced movement of people from one place to another. Naturally, this has created more encounters with difference. Such interactions bring with them the exciting prospect of diversity as a wellspring of knowledge, beauty, innovation, and creativity. However, there is also a danger that such encounters may lead to hostility, due to ignorance and fear of the unknown. In these situations, one reaction may be the retreat into comforting spheres of familiarity, where the “other” is excluded, and complex cultural histories are reduced to cruel and crude caricatures. Finding ourselves in this situation, it may help to remember that notions of difference and diversity are not new. According to Islamic belief, the world’s diversity is in fact a generous blessing. While the forces of globalisation may have brought humanity’s inherent differences into sharper focus, the roots of this diversity lie in an ancient and divine imperative. Since then, the world has evolved and so too have understandings and definitions of cosmopolitanism. Yet throughout time, core to this idea is the understanding that humanity in all its diversity is bound in a single community. This does not mean ignoring our differences, but rather, celebrating them. How might one arrive at a cosmopolitan ethic? Such an outlook can be rooted in a common set of principles that, while not exclusive to a distinct group or denomination, speak to the heart of humanity’s shared interests and values. These may include a shared concern for improving the quality of life, for the respect and dignity of each man and woman, and a shared responsibility to help those in need. 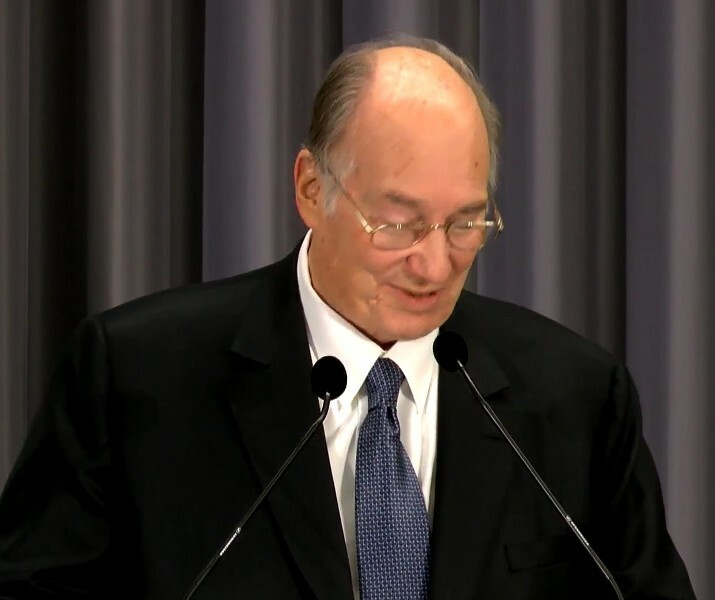 These common concerns have guided, and continue to guide the work of the Ismaili Imamat and the Aga Khan Development Network. While the outcome of AKDN's work is practical, the motivation is spiritual, drawing on the universal principle to invoke the goodness that exists in each person. In this regard, a commitment to improving the quality of life is fundamental to a cosmopolitan ethic. It touches upon a shared responsibility to ourselves and to the other. This duty is one that extends beyond the differences of race, religion, culture, language, and ethnicity in search of a shared and common humanity. Through its Early Childhood Development (ECD) centres, the Aga Khan Education Board of Uganda works closely with teachers, students, and parents to teach young children the values of being a diverse community. One of the approaches adopted includes Cultural Day, where students and teachers displayed flags, artifacts, currencies, and attire from different countries and participants dressed in traditional clothing representing the different cultures and traditions. They greeted the audience in different languages, shared some facts about each country, sang cultural songs, and served cultural dishes like posho and juggu sauce, dokhla, and pancakes. The Outreach Portfolio organised an annual Milad Un Nabi celebration with Muslim community leaders. This year’s celebration included a discussion on the acquisition of knowledge and diversity as part of Islamic faith. The key objective behind the annual event is to forge a way towards a better, more peaceful, and tolerant world. 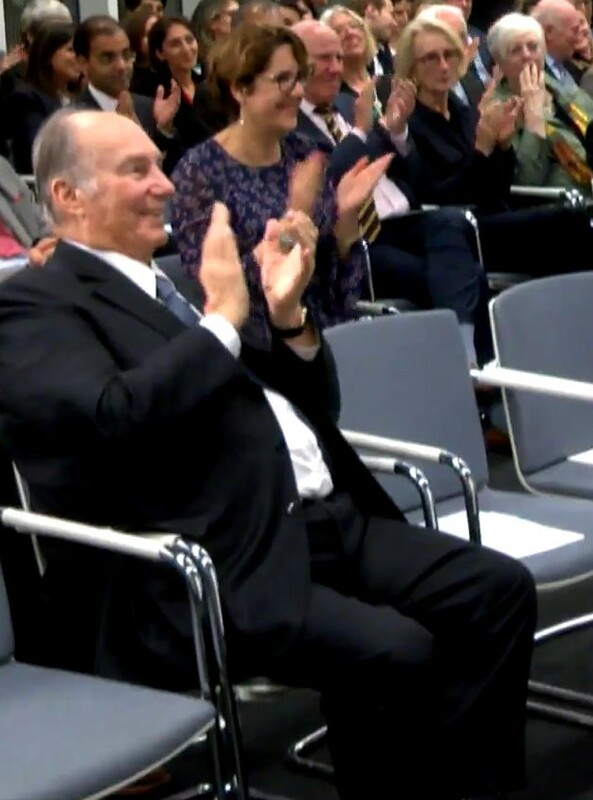 The Aga Khan Development Network (AKDN) in Uganda recently hosted a lecture to celebrate the example of the Buganda Kingdom within the remarkable multicultural society of Uganda. Buganda is the largest of the traditional kingdoms in present-day Uganda. Its people, the Baganda, make up Uganda’s largest ethnic group. The lecture was conducted by the former Katikiro (Prime Minister) of Buganda, Mr Joseph Mulwanyamuli Ssemogerere. Mr Ssemogerere acknowledged both Mawlana Hazar Imam and the Kabaka of Buganda, Ronald Muwenda Mutebi II for championing cultural diversity and pluralism in Uganda through the different undertakings of their institutions. According to Mr Ssemogerere, since the arrival of Allidina Visram as the first Ismaili to settle in Buganda, the Ismailis have been part of Buganda culture, including becoming ministers and members of the Lukiiko (Kingdom parliament). Mr Mawji noted that a recent study conducted by Harvard University found that Uganda is the most ethnically diverse country on the planet. 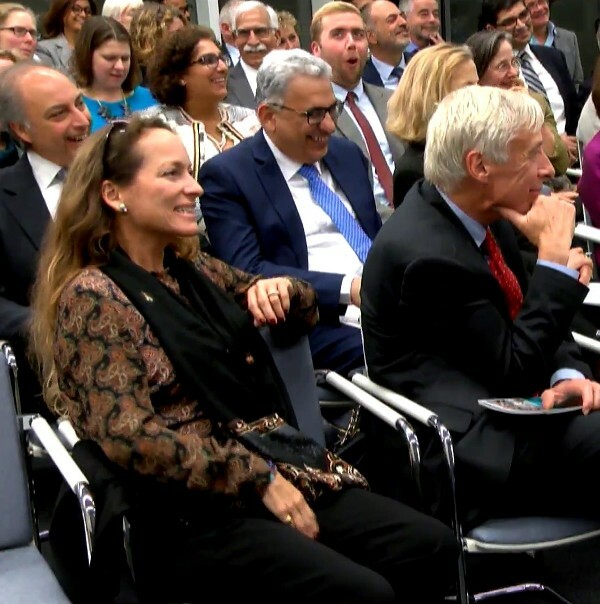 Mr Sulaiman Ajanee, President of the Ismaili Council for Bangladesh, welcomed guests from academia, civil society, and the private sector, along with members of the Jamat to the Centre, and spoke of the values which underpin the Aga Khan Development Network (AKDN). One of these is the ethic of inclusiveness, which draws upon Islam’s vision of a society which is inclusive, and embraces human difference. Sir Fazle Hasan Abed was invited to deliver the keynote address on this occasion, and to share his experiences as one of the leading figures of civil society in the country. He is the Founder and Chairman of the non-governmental organisation BRAC (Building Resources Across Communities). Sir Abed remarked that cosmopolitanism is an “acceptance and appreciation of the fact that we human beings will choose to express ourselves in different ways.” Sir Abed further shared how a cosmopolitan ethic has been reflected in the work of BRAC, which began operations in Bangladesh, before expanding further afield, to other parts of Asia, Sub-Saharan Africa, and Central America. In his remarks, Mr Munir M. Merali, AKDN Resident Diplomatic Representative to Bangladesh, presented the organisation’s ethical framework and how it is positioned as a contemporary endeavor of the Ismaili Imamat to realise the social conscience of Islam through institutional action. Representative Merali further explained that the Network brings together, under one coherent aegis, institutions and programmes whose combined mandate is to help relieve society of ignorance, disease and deprivation without regard to the faiths or national origins of people whom they serve. Imamat Institutions have been present in Bangladesh since 1960s when the Ismaili Imamat directed investments towards what became a thriving jute mill industry. Today, AKDN works in the areas of early childhood development, pre-tertiary education, and financial services, aiming to improve living conditions and opportunities for people regardless of religion, race, ethnicity or gender. Following the signing of the Protocol of Cooperation with the Government in 2013, AKDN today is considered one of the partners of choice with further investments directed to to help improve and build-on the education sector in the country. With this mind, and in line with this objective, AKDN is in the process of establishing the Aga Khan Academy Dhaka, a state-of-the-art, residential school where students are selected based on merit, regardless of socio-economic, cultural, or religious background, facilitating a diverse and fertile environment in which students can flourish. A key strand of the Academy’s curriculum is pluralism; encouraging students in their formative years to respect and embrace human difference. One of the key objectives of the Academies programme is to develop home-grown, ethical leaders of the future who may one day contribute to the economic and social development of the country. The Centre enters 2019 with a maturing program and a strong sense of forward motion. 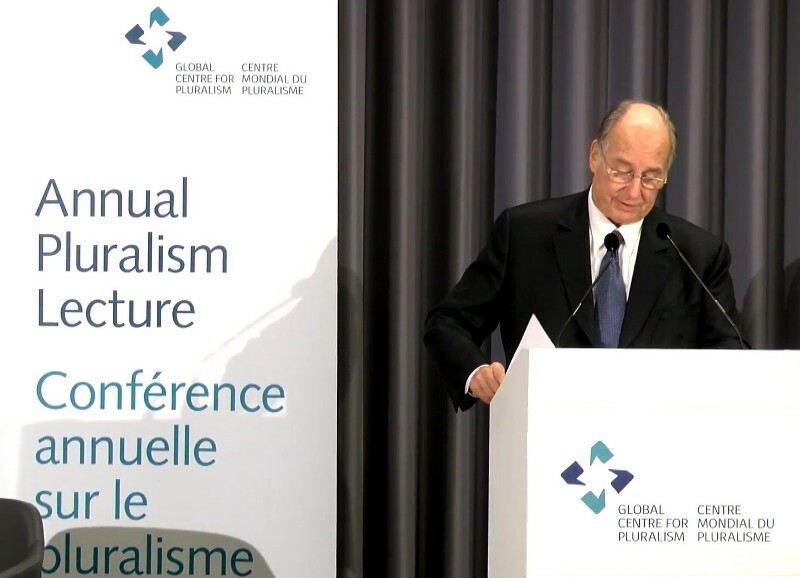 Highlights include finalizing the Centre’s foundational paper, Pluralism Lens on Diversity, hosting the second Global Pluralism Award ceremony and a range of events to bring the pluralism theme to global audiences. Members of the international Award jury met recently in Ottawa to review a shortlist of 42 applications from pluralism projects around the world. Jury members are renowned in fields including human rights, education, technology, public policy and corporate social responsibility. Through their work, they have a deep understanding of the effort it takes to build societies where differences are valued and respected. Find out more about the selection process. The Global Centre for Pluralism is a proud partner of the 2019 International Metropolis Conference "The Promise of Migration." Hosted this year in Ottawa and Gatineau, Canada, from June 24-28th, the Conference is the largest annual international gathering of the world experts from academia, governments and civil society in the fields of migration, integration and diversity. To learn more about the Centre’s participation and to register, keep an eye on the official conference website. How does the concept of social cohesion intersect with that of pluralism? Social cohesion is a concept that policymakers in some contexts have used as a framework to foster well-being in diverse and post-conflict societies. Some interpretations of the concept portray diversity as a threat to social cohesion and seek to identify the mechanisms that might minimize this threat, such as increased trust among groups, fairer distribution of resources, or practices of collaboration. This understanding of social cohesion complements and reinforces the goals of pluralism. By identifying the institutions that foster recognition and drive greater inclusion in diverse societies, a pluralism lens on social cohesion suggests both ways to enhance social cohesion and to counter the fear of some practitioners that diversity is detrimental to social well-being. Living with diversity is a shared global challenge, faced by developed and developing countries alike. Vulnerable groups, such as religious and ethnic minorities, are often subjected to various forms of political, economic, and cultural exclusion in their everyday lives. In order to create peaceful, pluralistic societies, these exclusionary practices must be systematically addressed. To do this, practitioners and policymakers must be able to monitor trends in exclusion and inclusion around the world. However, while there are tools that monitor specific aspects of diversity such as religious freedom or indigenous rights, there are currently no tools that evaluate a society’s treatment of all types of diversity and assess practices across the economic, political, and cultural spheres. The Global Pluralism Index aims to fill this gap and enable policymakers and practitioners to assess the state of pluralism around the world. In doing so, the Index will also add value to ongoing efforts in the field of upstream conflict prevention, identifying sources of division and exclusion long before conflict erupts, and when interventions may serve to change a negative trajectory.